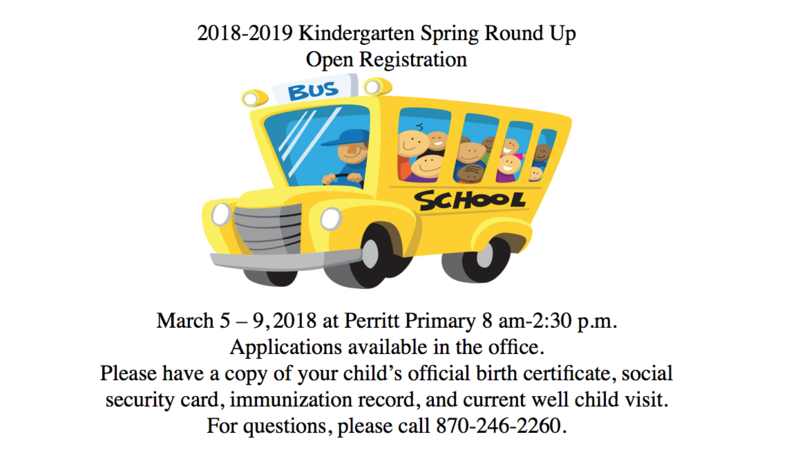 2018-19 Kindergarten Registration will begin Monday, March 5 and continue through Friday, March 9. Students who will be 5-years- old on or before August 1, 2018 and will be attending Arkadelphia Public Schools should register. Please bring the child’s birth record, current physical or well child checkup, shot record and social security card to Perritt Primary between 8 a.m. and 2:30 p.m. any day that week. At registration you will be given an appointment for your child’s state required screenings to be provided free of charge at Perritt on Wednesday, March 28, 2018.